Schoenhof’s Foreign Bookstore, located at 76 Mt. Auburn St., will close in late March. After 161 years of business, Schoenhof’s Foreign Books plans to permanently shutter its doors on March 25. Schoenhof’s, the self-described “oldest and largest foreign language-only bookstore in the United States,” was originally founded in Boston in 1856. 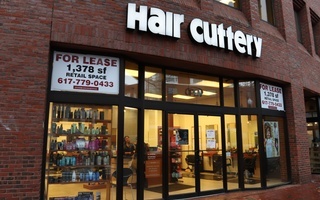 The store moved to Cambridge in the early 1900s and has been at its Mount Auburn St. location in Harvard Square since 1983. In a press release announcing the closure, Daniel Eastman, Schoenhof’s general director, wrote that high rents in the Square and competition from online booksellers prompted the store to close. “In recent years a number of independent businesses have been driven out of the Square by the high rents, and Schoenhof’s finds itself joining their ranks,” Eastman wrote. Eastman said that while the closing is not ideal, he understands that Schoenhof’s had to shutter its brick and mortar location. For several decades, Schoenhof’s has rented its location from the Spee Club. Denise A. Jillson, executive director of the Harvard Square Business Association, said that consumers should prioritize buying from local businesses like Schoenhof's to prevent their closure. “You can’t expect that bookstores or newspaper stores or retailers of any kind will survive if people continue to buy online. That’s just the reality,” Jillson said. David A. Gevarter ’19 said he was disappointed to hear the news. As a Romance Languages and Literature concentrator who speaks English, Hebrew, Spanish, French, and German, Schoenhof’s was his go-to bookstore. “I’m a big language nerd, so I am very excited to be able to go into a store where they have a couple hundred languages available,” Gevarter said. Gevarter also praised Schoenhof’s staff. In the press release, Eastman said Schoenhof’s will maintain its online store as a way to continue to fulfill its mission. Eastman said the website will offer a wide variety of foreign books at a low cost. “We’d like to be able to take advantage, in a way, of having, say, the reduced expenses of our retail location, and invest that into having an amazing website that offers a complete experience, a complete customer experience as close to actually being in a bookstore without being able to be there, as well as offering the lowest possible pricing,” Eastman said. 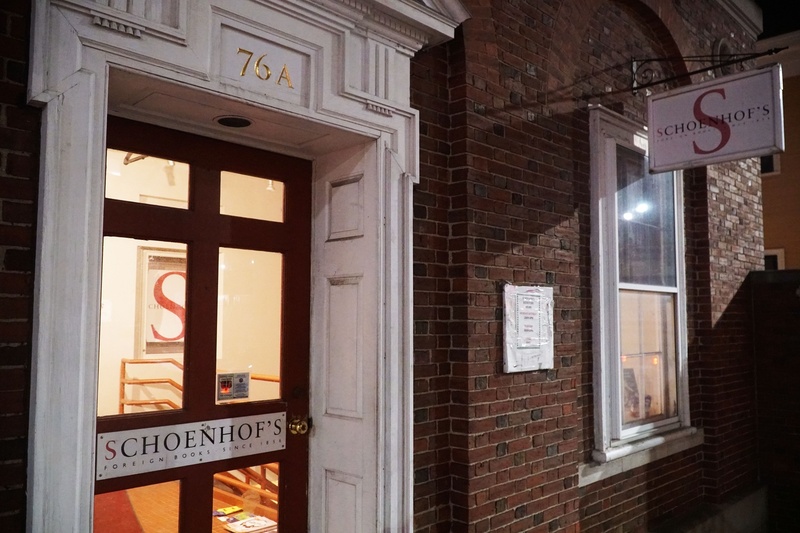 Schoenhof’s has been a longtime member of the Harvard Square Business Association and is active in community events, particularly the Bookish Ball and Shakespeare’s Birthday Celebration, according to Jillson. “It has been so lovely because we clearly get visitors from across the globe, and for us to be able to send them to Schoenhof’s to get a book in Portuguese or a book in French or a book in Spanish is just a delight, and something that is very unique and really will be a loss for Harvard Square,” Jillson said. Jillson emphasized the importance of going out and buying from local retailers. Though Eastman said he is sad to see Schoenhof’s brick and mortar location go, he said he has high hopes for its online future. “We really appreciate the support that we received from the students at Harvard over the last, my God, over 90 years that we’ve been in Cambridge. 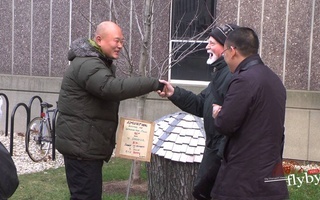 And we just hope that they’ll continue to visit us online,” Eastman said. –Staff writer Alison W. Steinbach can be reached at alison.steinbach@thecrimson.com. Follow her on Twitter @alisteinbach. —Staff writer Katherine E. Wang can be reached at katie.wang@thecrimson.com. Follow her on Twitter @katiewang29.